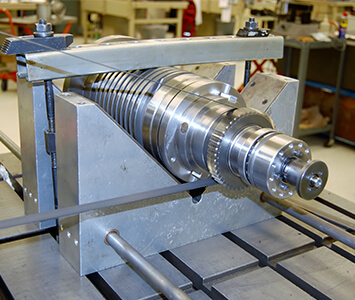 Your Mitsui Seiki spindle is in expert hands with the factory-trained, Big Plus–certified technicians at High Speed Technologies, Inc. We have repaired dozens of Mitsui Seiki spindles to original factory performance. Need it fast? 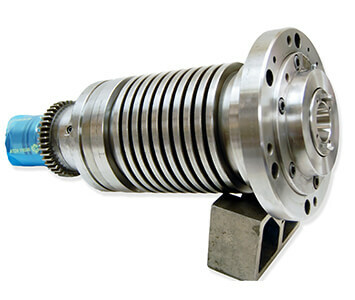 We can repair your spindle within three days of estimated approval, and we offer reduced pricing for longer lead times. All spindle repairs are backed by a complete warranty and our 30-year reputation of OEM-quality spindle repair. This Mitsui Seiki was sent to us by a quality tool and die maker out of Pennsylvania. When we opened the box we were surprised to see that someone else had already taken it apart for us. It was completely dismantled. 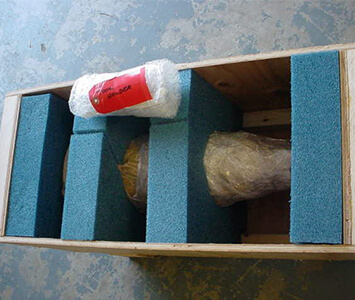 The first thing we had to do was sort through the box to ensure that none of the critical components were missing. After this we turned our attention to the reason the spindle failed. The #1 bearing was destroyed! 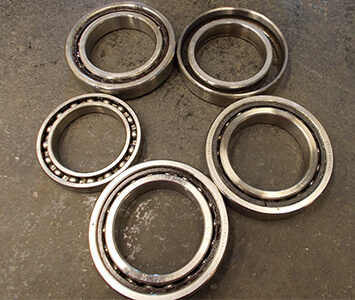 Evidence suggested that cutting fluid and particulate had migrated into the front bearing over time and eventually resulted in its failure. The shafts taper was also dented and well worn! 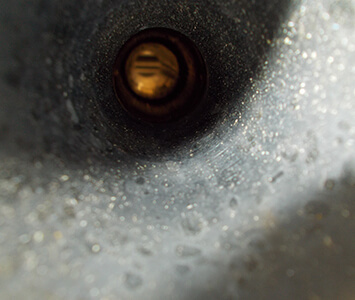 We were able to repair this shaft surface with a Kiss grind. 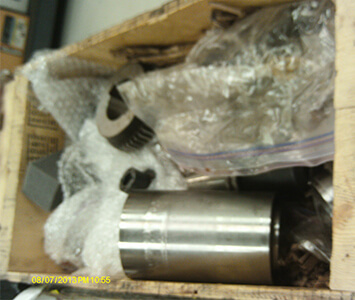 Of course we also replaced all of the bearings and seals with new. We offered to rebuild the drawbar assembly but the customer respectfully declined because they were confident the Belleville’s and Gripper still had some life in them. Lube washed out and degraded. The shaft taper ID will need a kiss grind. Here at High Speed Technologies we love a happy customer! For expert Mitsui Seiki spindle repair, please email or call us at 603-483-0333 for a free, no obligation quote. We offer one-year warranty and Quick-Turn-Around. We are fast, experienced and our work is guaranteed! !